But you can't pay extra to have it built for you at the factory. 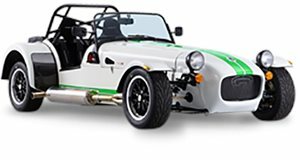 For many people, owning a Caterham isn't entirely practical. 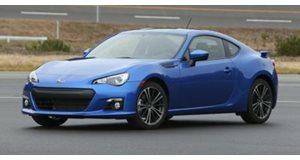 After all, it's a lightweight, two-seater performance car that, whilst fairly affordable (the base Seven 270 retails for a little less than $23,000), doesn't really offer the same amount of day-to-day usefulness that makes similarly-priced - albeit far slower - sports cars like the Subaru BRZ more enticing options as second cars. Due to this, it's likely that this new Lego Caterham set will be the closest quite a few will ever get to owning their own British kit car. Set to go on sale in October, this 69 GBP kit (we only have access to British prices at the moment, sadly) is quite a sweet little set for multiple different reasons. For starters, it's based on the Caterham 620R, and the 770-piece kit means it's probably almost as complex as the real life car. Plus, being a Lego car, this condensed Caterham 620R does have a few neat little features. Lift the hood off the top on the completed car, and you'll be greeted with the sight of a tiny supercharged Ford Duratec engine, and the axle jacks means you can do a mini tire change if you so desire. Other features are present on the fully assembled vehicle, but the functioning steering system and hinged trunk lid are fairly obligatory and standard fare on a Lego car nowadays. Still, it's a sweet little item that'll be well complemented by the Lego Porsche 991 GT3 RS kit that was released not so long ago, and - with Christmas just over four months away - it's probably best to keep the Lego Caterham in mind as a potential candidate for a seasonal gift. It probably won't be what the present recipient will think of if they catch wind you'll be getting said person a Caterham self-assembly kit, but we're sure whoever's getting it will love this Lego set regardless.